Adventurers will understand: You can spend all year anticipating your summer camping expeditions, but if you haven't stocked up on the right gear, things can take a turn for the worse REAL fast. All camping products are NOT created equal. We're of the belief that your gear should be easy to set up, functional (ideally in more ways than one), and built to last. Is that too much to ask? We don't think so, and that's why we teamed up with Walmart to bring you a roundup of all the essential items that you need to bring on your next camping trip if you want to make this one your best yet. When you camp, your tent is literally your home away from home, so picking a good one is crucial. 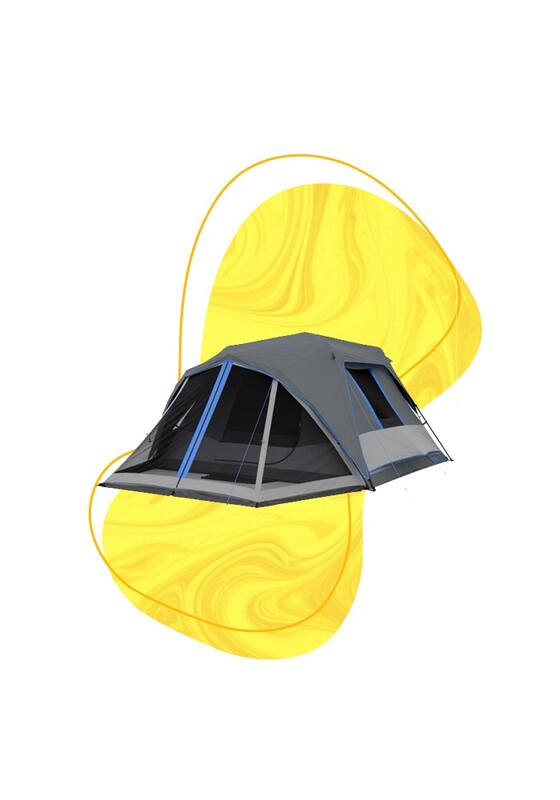 This roomy tent comfortably fits six people, boasts different zippered sections, and even has a light, so you can kiss bulky headlamps goodbye. Muah! The best part? It can be set up in as little as 60-seconds due to its pre-attached poles. Only at Walmart. 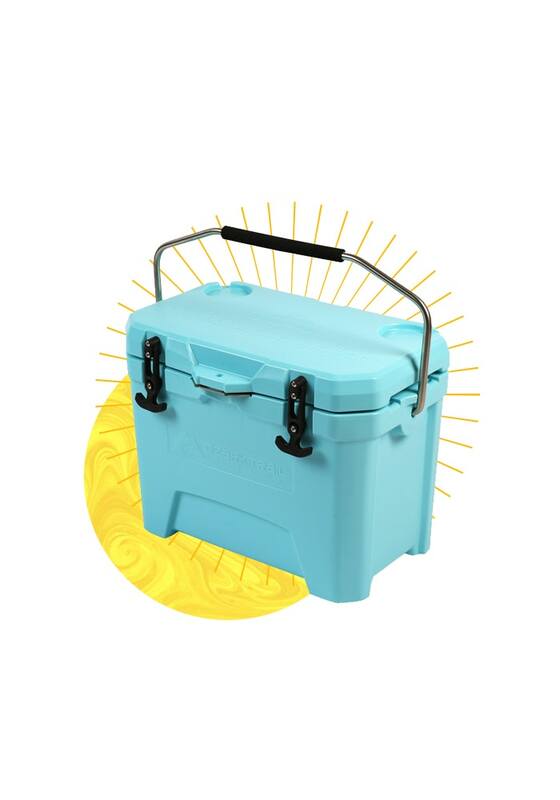 This cooler will keep your food and drinks cold and safe from overly-curious animals. And bonus: It's super cute AND available in a bunch of colors, which totally matters too. Only at Walmart. Is it even a camping trip if you don't have wine? Well, yes, yes it is. 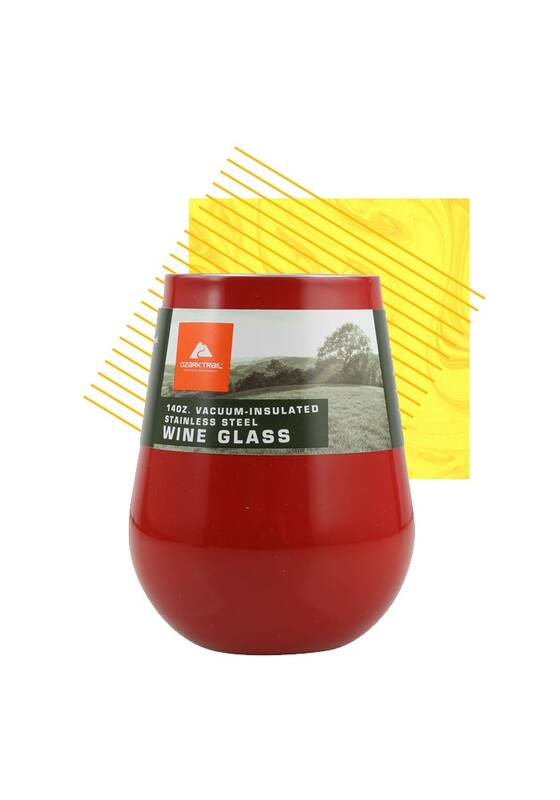 BUT that doesn't change the fact that a glass of wine in a sturdy wine glass is the perfect way to elevate your campout. These insulated glasses come in a variety of colors and their stainless steel material makes them campsite-safe. Only at Walmart. Just because you're roughing it doesn't mean you can't still be comfy. 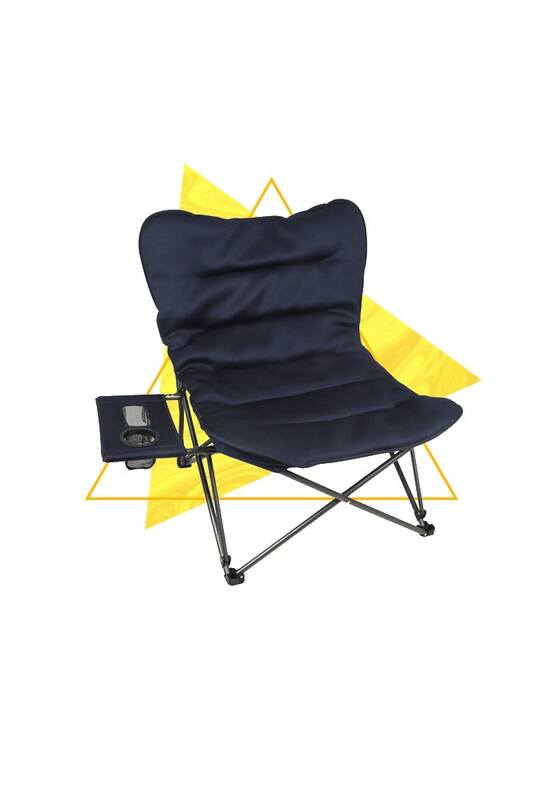 This oversized chair plush chair will let you relax around the campfire in style AND comfort. Its steel folding frame makes for super sturdiness, and it even has a side table for easy food and drink access. Only at Walmart. 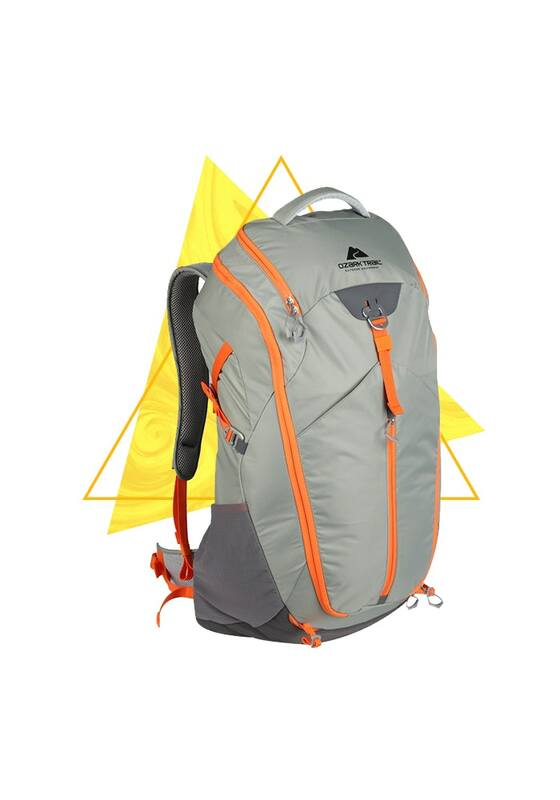 Every camper needs a well-made backpack that's durable, but NOT heavy. This lightweight nylon fabric pack will fit everything you need for your day hike, but won't add any extra weight to what you already have to carry. Its U-shaped zippered main compartment allows for easy packing and access, and bonus: It's hydration bladder compatible. Only at Walmart. Win-win. As beautiful as it is, there are some situations when the light of the moon just doesn't cut it. 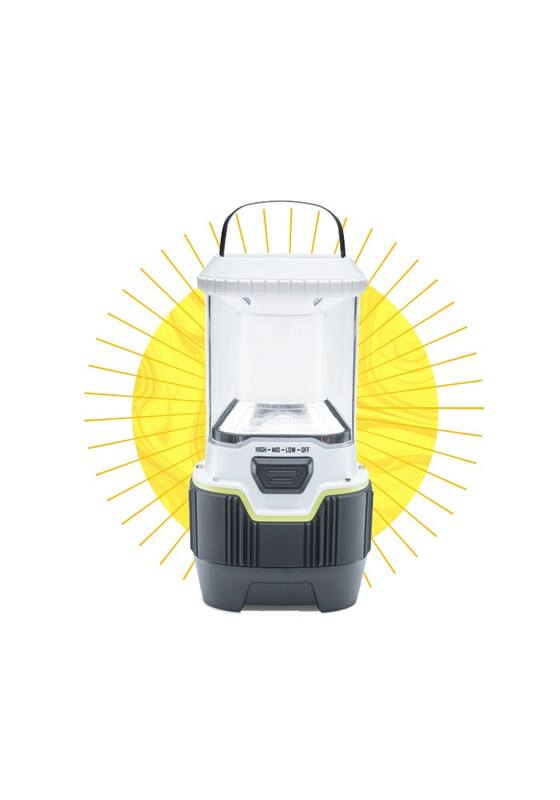 For late-night bathroom runs and after-dark dinners, this lantern will provide all the illumination you could ever need. It even has a USB charger and a lifetime LED bulb. Only at Walmart.